Italian rabbi of German descent, who flourished in the sixteenth century; died Nov. 13, 1601. 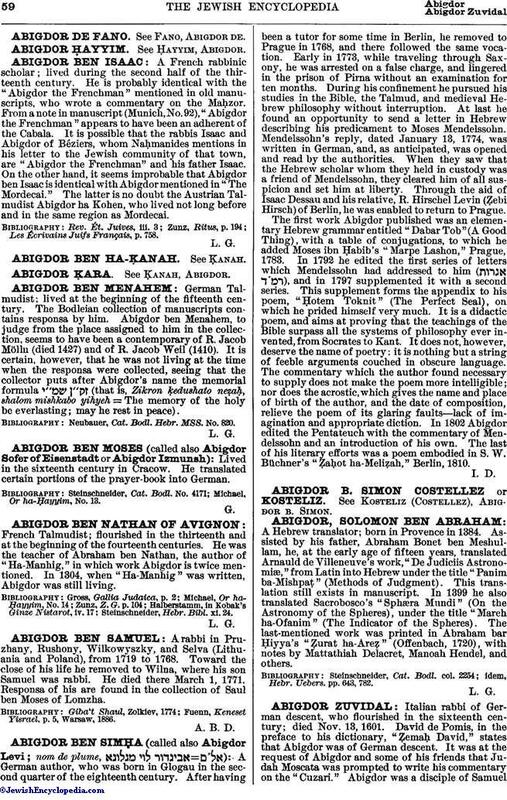 David de Pomis, in the preface to his dictionary, "Ẓemaḥ David," states that Abigdor was of German descent. 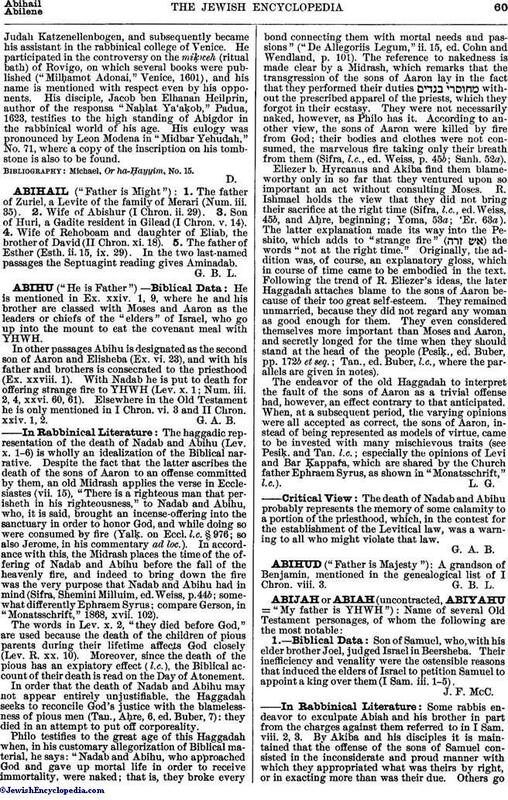 It was at the request of Abigdor and some of his friends that Judah Moscata was prompted to write his commentary on the "Cuzari." Abigdor was a disciple of SamuelJudah Katzenellenbogen, and subsequently became his assistant in the rabbinical college of Venice. He participated in the controversy on the miḳweh (ritual bath) of Rovigo, on which several books were published ("Milḥamot Adonai," Venice, 1601), and his name is mentioned with respect even by his opponents. His disciple, Jacob ben Elhanan Heilprin, author of the responsa "Naḥlat Ya'aḳob," Padua, 1623, testifies to the high standing of Abigdor in the rabbinical world of his age. His eulogy was pronounced by Leon Modena in "Midbar Yehudah," No. 71, where a copy of the inscription on his tombstone is also to be found. Michael, Or ha-Ḥayyim, No. 15.